Here we are almost done with the first month of January 2018…it SURE GOES FAST!! One thing I have enjoyed immensely of all my gifts from the holidays is one that I gifted to myself. Oh, I know I’m NOT the ONLY one who ends up after all the searching in the stores and on the internet who gives into the desire of buying a “Merry Christmas to me” gift. My favourite this year was a STELLAR custom made handle bar from Defiance Frameworks have you heard of them yet?! Well, let me tell you, Daniel, does awesome work up in Fritz Creek, Alaska where he crafts handle bars as he told me to “keep his sanity” up north. He’s a down to earth guy, who is an EXCELLENT craftsman!!! Honestly, I can’t say enough good things about his work! Every time I’m on my bike now looking down at these handle bars…I still get that giddy gleam in my eye, like when I was a little tyke and saw my first bicycle behind the tree. Funny how that never goes away the older us kids get when we make improvements on our bikes!! Categories: art, bicycle, bike, cargo bike, commuting, Cyclelogical, cycling, extreme athlete, hand crafted, holiday, mountain biking, sports | Tags: art, design, gear, health, Inspiration | Permalink. 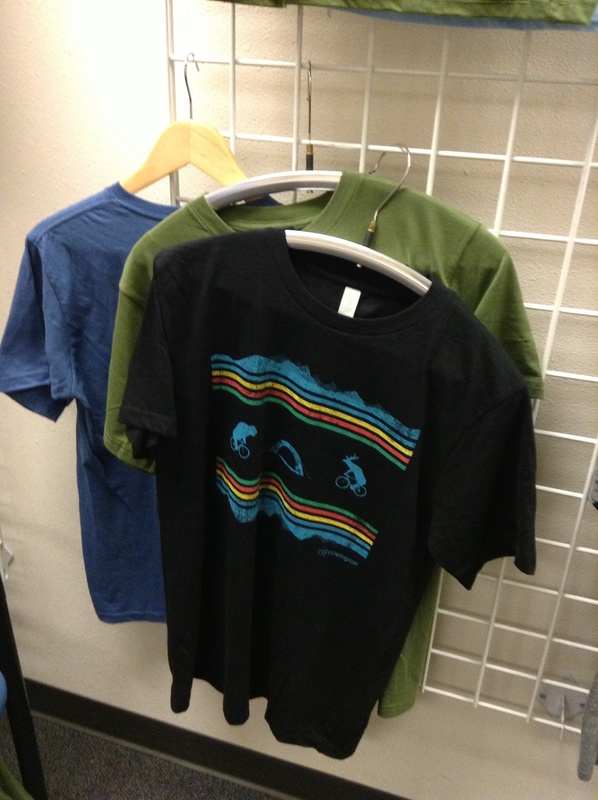 Hey all, just in case you didn’t know, the majority of our t-shirts are made in the USA and we use organic cotton or recycled polyester as much as we can. We really don’t preach about this stuff , but we think it is just logical to use cotton that hasn’t been sprayed with chemicals. Also we love to make things in the USA when possible, sure it’s a little more expensive, but I think if we can keep the stitch going in the USA it’s a good thing. 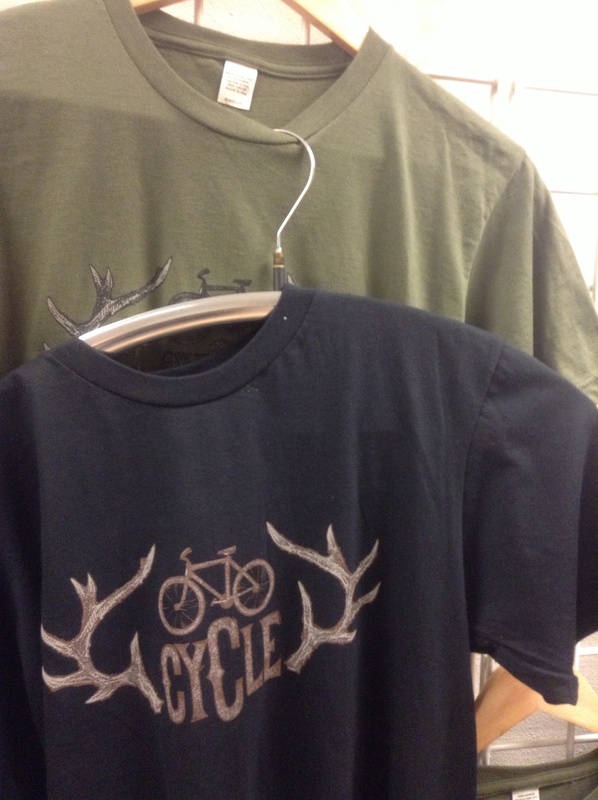 Categories: commuting, cool products, Cyclelogical, cycling, Inspiration, t-shirts | Tags: organic cotton | Permalink. Categories: bicycle, commuting, commuting gear, cool products, Cyclelogical, cycling | Tags: Apparel, bicycle, bicycle apparel, bike commuting, biking, bison, buffalo, commuting, Cyclelogical, cycling, fashion, gifts, lifestyle, Outdoors, road bike, Road Biking, road cycling | Permalink.